Today we have a fabulous giveaway for you with two prizes for two winners! If you haven't already, you need to check out Meesh & Mia online boutique. Meesh & Mia has put a spin on gameday apparel by taking today's latest fashion trends and combining them with school colors and logos. 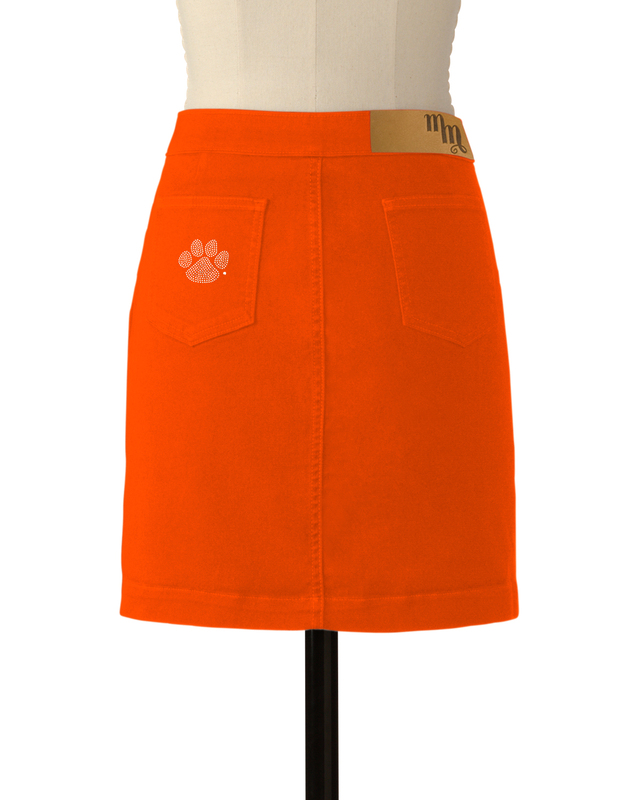 They provide a unique, fashion forward approach to University apparel...whether you're looking for something to wear to the game, to work...anywhere! Shop Meesh & Mia online and take advantage of their $5 flat shipping fee. Make sure you also check out their Refer a Friend program - refer a friend and you and your friend can get $15 each to spend at Meesh & Mia! Are you a gameday t-shirt and jeans kind of girl? 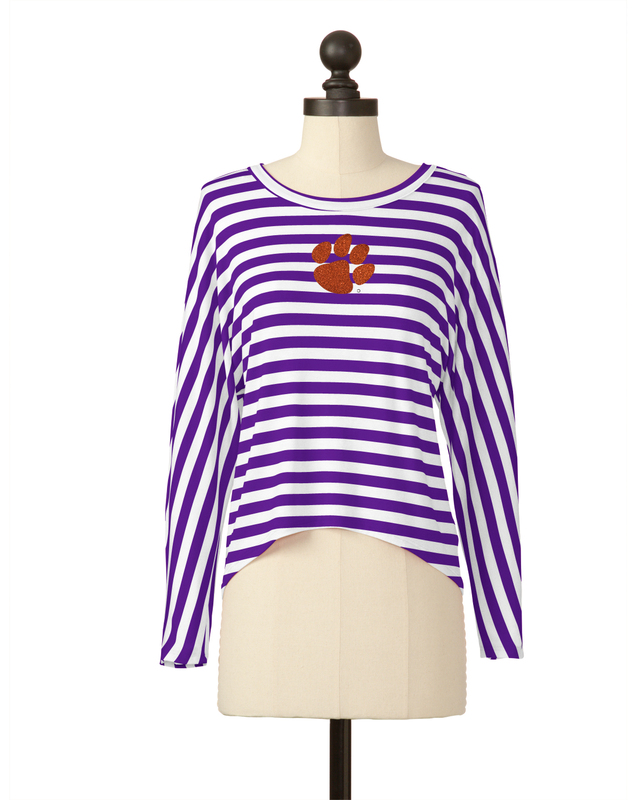 This Clemson top would be cute AND casual for a Clemson gameday - love this top, so fun! Speaking of jeans - check out these super chic orange skinny jeans, complete with a rhinestone tiger paw! 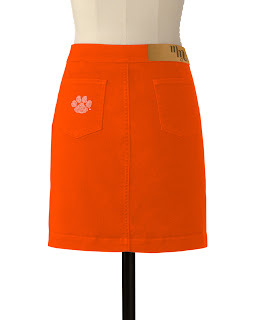 You can also get this style in an orange skirt. And if you're more into gameday dresses on gameday, Meesh & Mia still has you covered. 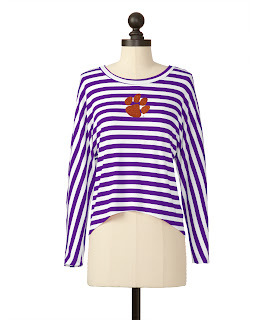 Check out this gorgeous purple dress with a rhinestone Clemson tiger paw accent on the bottom. 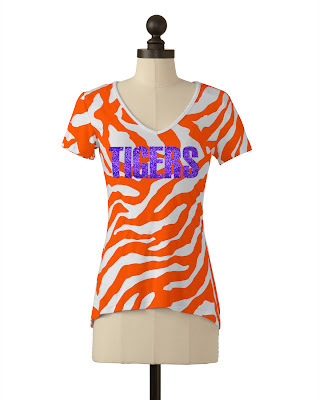 Meesh & Mia has generously offered to give TWO very lucky Clemson Girl Readers a $25 gift certificate to spend at Meesh & Mia online. Deadline for all entries will be MIDNIGHT tonight. We will randomly draw two winners and contact the winners by email tomorrow, Sept. 19. The winners will have 48 hours to contact us after we send the email or we will have to draw a new winner. Special thanks to Meesh & Mia for sponsoring today's amazing giveaway!